We are in a state of emergency as are the other coastal states in New England here in RI real estate land. The storm surge is what we coastal Rhode Islanders fear the most. With the moon at fullness the high tides will be stronger with Hurricane Sandy and more damaging to our coastal RI real estate. 12:30 pm Update- Just returned from Narragansett Pier, Narragansett with the tremendous winds & coastal flooding happening now. I have just had a home closing confirmed for 2 pm ...not only do we postpone it but we deliver to buyers in the middle of a HURRICANE!! Yesterday, Sunday - winds up to 45 miles per hour yesterday. I am one house in on Narragansett Bay and feel the fierceness of the wind on my trees and windows. We have areas of Westerly, South Kingstown, Narragansett town calling for mandatory evacuation if you are by the water which many homes are. Hurricane strength windows can cost a RI homeowner upwards of $7000 for a picture window so few RI homeowners on waterfront RI real estate have them. Most homeowners have plywood or storm shutters on their windows which are acceptable to most insurance company's to meet their hurricane insurance requirements. I live on the water and love it. I am in a flood zone X 500 (but this zone does Not require flood insurance) which should not flood with Hurricane Sandy (about 12 feet above flood stage). No, no flood insurance because my homeowners does not require it so as the gusts reach 75 mph we are bracing here for a long night...who can sleep! We are expecting a huge tidal storm surge in Narragansett Bay this evening and I'm hoping my property survives. Day 1 - Narragansett bound for a lengthy appointment and truckin north on Rte. 95 to a closing, hopefully, at 12:30 (this may be postponed). Hoping that my southern neighbors fare well and that all stay safe especially in New Jersey. As neighbors in my area band together, I am so fortunate to live in this North Kingstown community I am in. What amazes me is that no sun at this hour at all it is still total darkness across the Bay. The bottom picture is from yesterday afternoon. I will return to update this post and progress on the RI shoreline storm impact by noon briefly prior to a waterfront RI real estate closing, if possible...a story behind this one more later! Hurricane Sandy - Waterfront RI Real Estate Scene - Day 1. 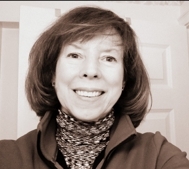 Ginny Lacey Gorman is a southern Rhode Island Realtor who works and knows the North Kingstown RI geographic area of homes for sale, schools, happenings and important tidbits of information well. All of RI is my backyard and I service it well for my clients. Waterfront, water view, ocean front, luxury and coastal Rhode Island real estate are my specialty. If your considering Buying, Selling or Relocating to Rhode Island and need a real estate Professional it would be my pleasure to help you! When you are in need of an internet savvy RI realtor® who sells homes in this real estate market, call Ginny today at 401.529.7849 or email me at RiByTheBay@gmail.com. What are the RI Tree Men Doing Now? Wind Turbine in Your Back Yard?